We wanted to share some information on a terrific community garden project that Greenhorns’ friend Jacob Gordon is involved with in Nashville, Tennessee. The Sylvan Street Garden was founded in May of 2008, aiming to bring healthy food and organic agriculture to one of Nashville’s most underserved communities. 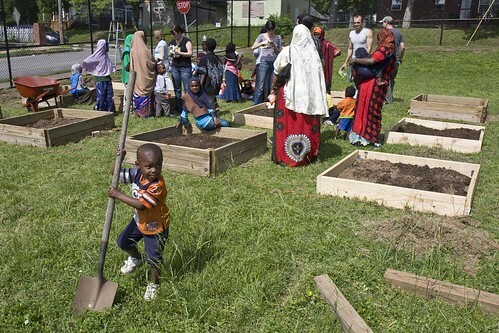 The organic urban garden primarily serves Nashville’s East African refugee community and sits in the midst of Nashville’s largest community housing project. Many families from the refugee community maintained plots in the garden this season. Congratulations to the Sylvan Street Garden community on a successful first season! November 16: Celebrate Change & Cheese at the Greenhorns Obama Melt!